C&L Aviation Services, a C&L Aviation Group company, is currently seeking a full-time Senior Aircraft Structural Technician. The selected applicant must have the ability to evaluate structural damage and determine the proper resolution for various sheet metal tasks. Knowledge, skills, and abilities sufficient to layout, fabricate, repair and assemble sheet metal. Ability to apply and interpret blueprints in accordance with specified procedures and techniques. 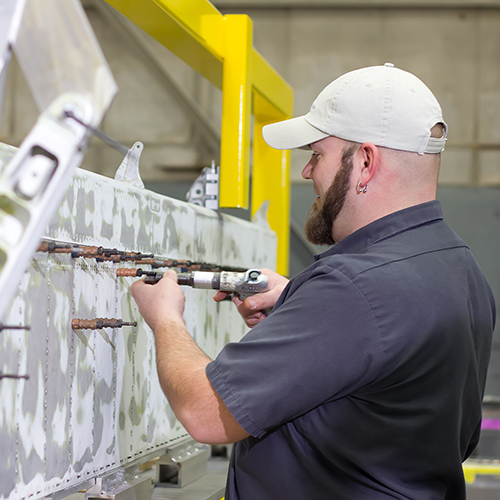 Ability to operate shop tooling utilized during repair. Tooling includes but is not limited to press brakes, shears, rollers, grinders, drills, pneumatic squeezes, rivet guns and any other tools necessary to complete structural repairs.